What is the haikutimes? A documentation of many haiku walks. What is a haiku walk? 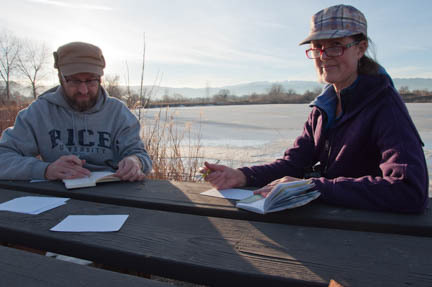 A haiku walk happens when you get together with some friends, head somewhere new or familiar (nature is ideal, but so are shopping malls, or anywhere, really); You disperse for an hour, observe, contemplate, and write haiku about what you notice. You then reconvene, writing out your favorite haiku on notecards (or old receipts, if you have forgotten the cards). You designate one person to collect and read all the haiku; once or twice without comments, then once with commentary. You take the haiku and turn it into a haikutimes issue on the web. If you are solo, you do the same thing without your friends, because the haiku walk becomes a meditation and a practice. These are a bunch of those moments, from over the years. Enjoy.